It’s rare to program an entire software project in one sitting. You might need to take breaks ranging from a few minutes (caffeine) to many years (going to grad school). The code should still be there when you come back. Programmers try out things all the time, some of which don’t work. If you’re debugging, you might make small changes to see if they fix the problem; if you’re considering a new feature, you might spend weeks implementing it before you know whether it works or not. You want to be able to “rewind” your work to a previous point you like better, or to hop between different “branches” in which you’re trying different things. Programmers collaborate with each other. What if you change the program one way and someone else wants to change it in a different and incompatible way? You want to avoid stepping on each others’ toes by accident: where there are real conflicts between your changes, both of you need to know about it, rather than breaking each others’ code by accident. As one can imagine, this is an extremely complex problem without any single answer, but luckily with the help of some smart people the majority of the programming world has converged towards one solution — Git. Git was a project initially started by Linus Torvalds - the father of modern day Linux - when he felt that existing code-sharing tools were insufficient and approached the problem in the wrong way. You probably already have experience with saving your work as you go. One is to “Save As” every so often and put your document in a new file with a modified file name like “Term Paper June 13 draft 2 (revised, need to add tables).” This is good for keeping snapshots of the work as it existed at different points in time. But the names can get unwieldy unless you’re very disciplined about what names you choose, and this approach is harder to make work well when you have multiple files (maybe a paper, a related presentation, and a bunch of images included in both). This is how Git works, more or less. Whenever you reach a good point to pause your work, you can take a snapshot of the project, called a “commit.” Each commit represents the entire project as it exists at one specific moment in time. As you keep working, you add more commits, and Git remembers them all — for all practical purposes, Git never throws away the work you had stored in a commit. At any point, you can rewind the project to a previous commit. It’s like being able to hit “undo” and “redo” as often as you want for an entire project. The other fundamental Git concept is the “repository.” A repository is Git’s entire history for your work on a specific project: it stores all of the commits for that project. In this course, we’ll have you set up separate Git repositories for each assignment. You can think of a repository as a special folder on your computer: once you tell Git to treat that folder as a repository, Git keeps track of all changes to files in the folder. 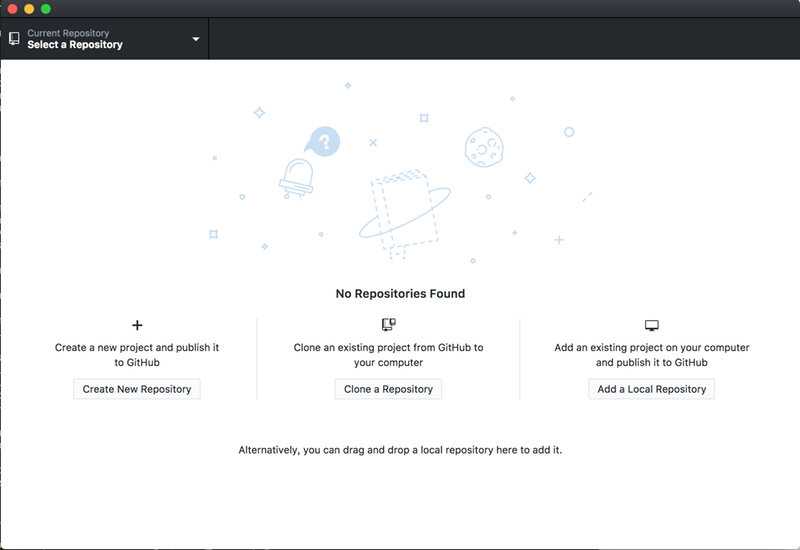 One reason Git is popular is that it makes it easy to connect the Git repository on your computer (a “local” repository) to a Git repository on another computer (a “remote” repository). You can “pull” commits from the remote repository into your local repository, and “push” them from your local repository to the remote repository, keeping the two in sync. Syncing with a remote repository turns out to be a great way to distribute software. If you want a copy on your computer, you can pull from a remote repository into a local one, and voila, you have a copy. It also turns out to be a great way to collaborate. If multiple programmers connect their local repositories to the same remote repository, they can push their own commits to the remote and then pull each others’ commits from the remote, keeping everyone in sync. In this course, we’ll also use remote repositories in a third way: you’ll submit your homework by pushing a commit to a “private” remote repository just for you and the course staff. Programmers can (and do) use lots of different remote Git repositories. But one especially popular host for them is GitHub, a private company which provides a convenient place to store the remote Git repositories. GitHub is free to use in many settings (including public repositories that anyone can see and most educational uses). Remember: Git is the software you run on your computer to handle the committing, merging, pulling, and pushing, while GitHub is the website you will use for your remote repositories. 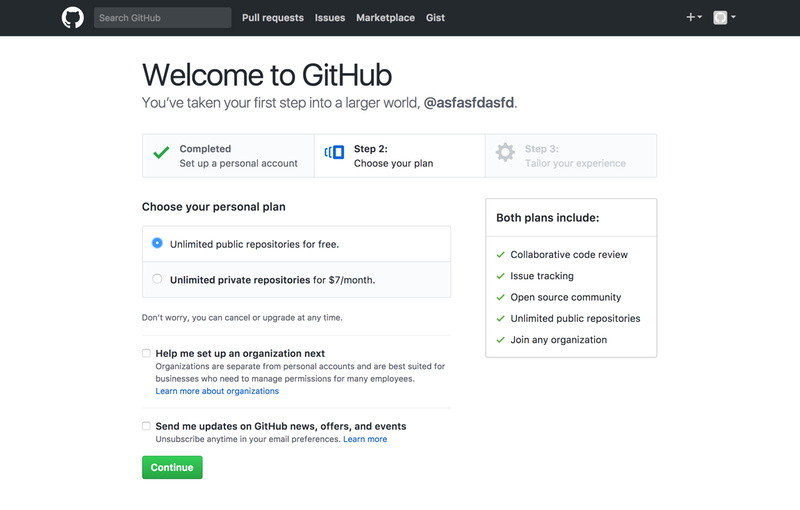 The easiest way to install Git is via GitHub’s tools, so we’ll start there. If you already have a GitHub account, great, skip over this! Choose the free, unlimited public repositories plan. For the remaining questions/steps, simply skip through them (or fill them out if you feel like it). Congratulations! 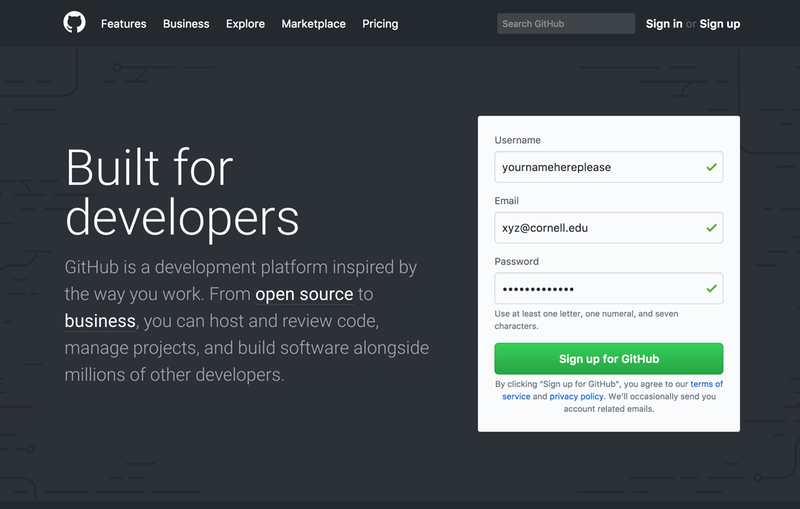 You are now registered for GitHub! Now let’s install Git on your computer. 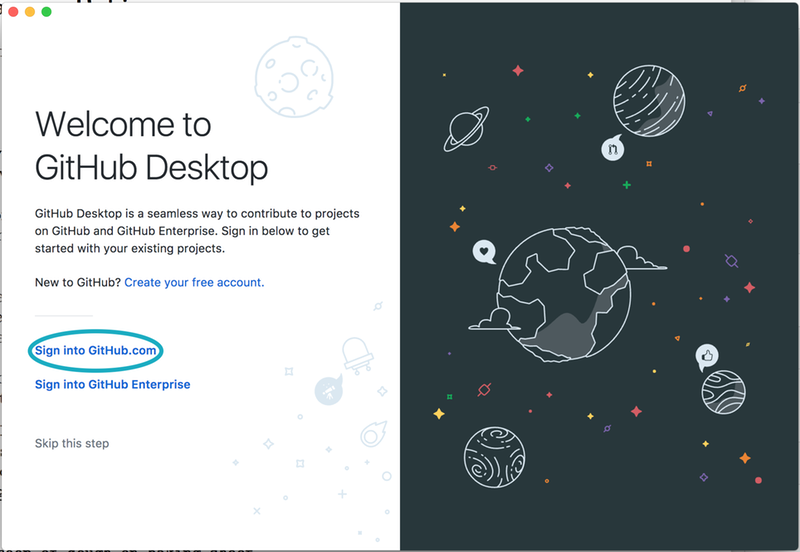 For this course we recommend using an app called GitHub Desktop that provides a convenient graphical view of your repositories. To install GitHub Desktop (which includes Git), open the following link: GitHub Desktop and press the “Download” button. On macOS, you will get a file called “GitHubDesktop.zip”. Double-click on it, which will give you a file called “GitHub Desktop.app.” Drag that file (with a nice purple icon) to your Applications folder. On Windows, you’ll get a file named “GitHub Desktop”. Double-click on it, then click “Install” in the pop-up window. 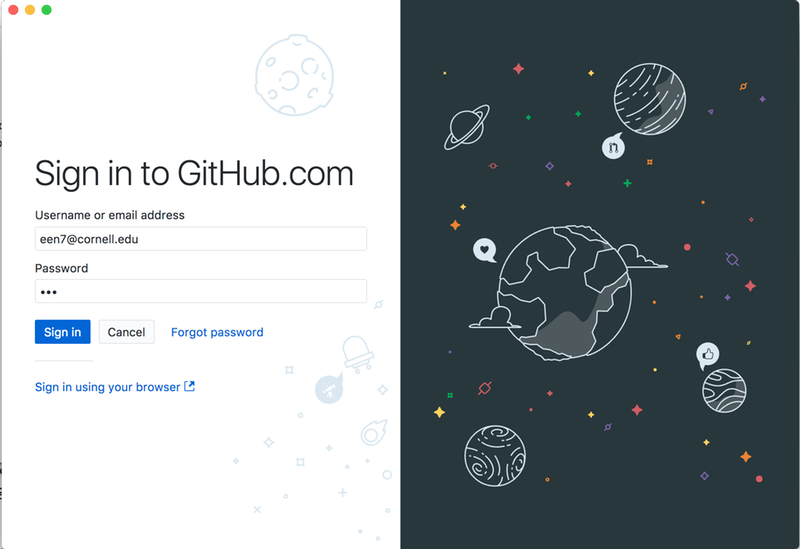 Proceed to chooose sign-in with GitHub.com account, and sign in with the account you created during the set-up steps. Congratulations! You now have a basic but complete “toolchain” on your computer: everything you need to write and run code like a pro.